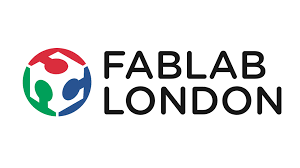 Fab Lab London is an open innovation lab and ecosystem for individuals and organisations to design sustainable solutions to complex urban food, water and waste challenges. Encouraging creativity, collaboration, experimentation and play, it incubates ideas that make food systems more productive and resilient, and that can put more natural and healthy food on our tables. We take the best from permaculture thinking, from small scale production, from experimentation, and from science and technology and design productive food systems that make the world a better place. We believe in experimentation and play; we believe in challenging what people do today; we believe that we can design away our problems; we believe in building human-scale systems. We have built a workspace that encourages creativity and collaboration and we are filling it with food entrepreneurs and thinkers that want to build better systems.